Cranial Cruciate Ligament (CrCL) Rupture is the most common orthopedic condition affecting dogs in north America. This ligament is found in the knee and is known as the anterior cruciate ligament (ACL) in humans. Large breed and very active dogs are more likely to get injured just as much as older and overweight pets. However, dogs of any age and breed can rupture their ligament in one or both knees. Some of them are more susceptible to this condition because of an abnormal conformation of their knee. We were playing Frisbee and my dog started limping; My dog was chasing the ball and came back limping; My dog jumped into/out of the car and started limping. Or, my dog has been limping on and off for several weeks or months now but it never goes away. A torn CrCL causes significant amounts of pain and instability in the knee. This instability can damage other structures in the knee (meniscus, joint capsule, collateral ligaments) and cause additional pain. If the condition is not treated early, osteoarthritis will set in a lot quicker with a subsequent decrease in the range of motion in that knee over time, which will, in turn, lead to abnormal biomechanics of the whole limb and the body as a whole. Pain and discomfort in one knee will give your pet no other choice but to shift his/her weight onto the healthy limb to alleviate the pain. Unfortunately, this adjustment will result in an excessive load on the opposite leg, which can lead to a CrCL rupture or other injuries on that healthy limb. How would you walk if you had a torn ACL in both of your knees? The signalment (age, breed, weight), history, clinical signs, physical exam findings (cranial drawer motion, Tibial thrust, etc) and X-rays help diagnose the condition. 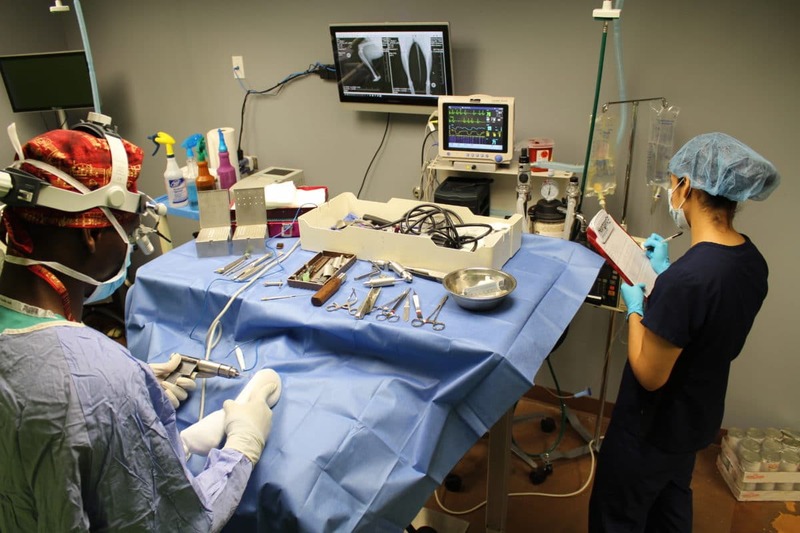 When your pet undergoes a TPLO surgery, the knee is literally reconstructed to remedy the excessive slope in the knee, provide better stability to the CrCL deficient joint to restore proper function and eliminate pain. During the surgery, a curved cut is made at the top of the tibia (shin bone) and the bone is precisely rotated and stabilized with a plate in steel and screws. The TPLO is a solid construct built that will allow your pet to use his/her limb a lot quicker. Most pets will recover from the surgery in 3-4 months. At Liberty Animal Hospital, our veterinarian will discuss with you the treatment option that best fits the lifestyle of your pet, along with other factors that will help in recovery and early return to function. As usual, nothing is as perfect as 'mother nature', so it is best to decrease the likelihood of injuries by preventing obesity, strenuous and uncontrolled exercise. But if injuries happen, we are here for you. To schedule a consultation to discuss the treatment options for a CrCL injury or a torn ACL for your dog please call us directly or making an appointment online.